Use the field of biophotonics to engage and prepare students from diverse socio-economic backgrounds to pursue productive careers in interdisciplinary team-based science and technology. Engage the public in understanding the field and opportunities presented by biophotonics. 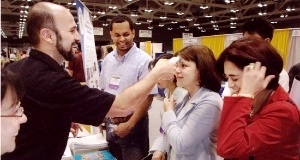 Develop educational tools for teaching and exploring biophotonics. Our program at a glance can be viewed using our educational map.